Unknown picture from making of “Hitlåtens historia” was published today on NRK.no. 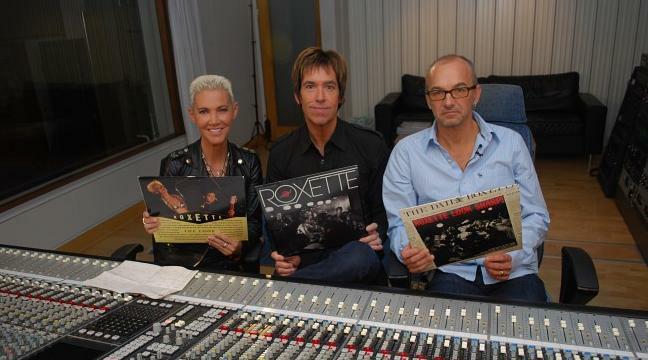 Clarence “the third member of Roxette” Öfwerman joined Marie and Per in this photography. looks like their doing the thing in the studio again! Well, yes, they are back in the studio, but the documentary was filmed before they started recordings – in September 2009.